CHESTERTOWN, MD—Novelist Anna Solomon and singer-songwriter Clare Burson will perform together at Washington College on Tuesday, November 13 as part of the “Jewish Voices” series sponsored by the Rose O’Neill Literary House. The event will take place in the Egg, Hodson Hall Commons, at 4:30 p.m. and is free and open to the public. A book and CD signing will follow. 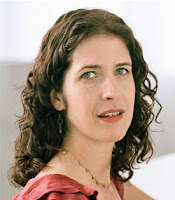 Anna Solomon is the author of The Little Bride (Riverhead Books, 2011), as well as many short stories and essays. Her work has appeared in The New York Times Magazine, the Harvard Review, and many other publications. She has been nominated for two National Magazine Awards and was awarded two Pushcart Prizes and an Editor’s Prize from The Missouri Review. A former journalist for National Public Radio, she reported and produced award-winning environmental stories for the program Living On Earth. 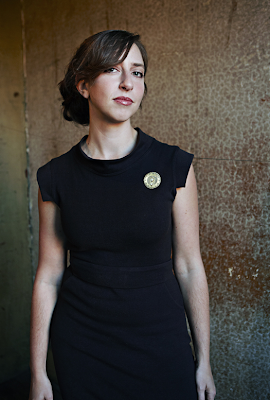 She holds a bachelor’s degree from Brown University and an MFA from the Iowa Writers Workshop and now lives in Providence, Rhode Island. Her novel, The Little Bride, tells the story of a teenaged mail-order bride from Russia who is sent to the South Dakota prairie in the late 1800s to wed an older Orthodox man and share his sod hut. A Tennessee-born musician now living in New York, Clare Burson has won praise for her fresh version of contemporary folk music, often tinged with melancholy. Her latest album, Silver and Ash, released in 2010 by Rounder Records, is a collection of songs inspired by her ancestors’ experiences in the Holocaust. Solomon contacted Burson, a fellow Brown University alumna, to collaborate on a project that would feature songs based on The Little Bride. In an interview with music blog largehearted boy, both women said working together allowed them to reach new levels of emotional depth in their work. After hearing one of Burson’s musical takes on her work, Solomon recalls, “I felt my character’s sorrow – her deep, primal missing of her mother – more than I ever had while I was writing the book.” Burson, in turn, says that in reading Solomon’s work, “I was able to experience it, be moved by it, and then let the songs grow out of that.” The two artists’ collaboration results in a moving performance that is part reading, part music. The third and final event of the “Jewish Voices” series will be a poetry reading by Idra Novey on December 4. For more information on the series and other Literary House programming, visit http://lithouse.washcoll.edu.